We recently attended the San Diego Travel & Adventure Show for some travel inspiration. Since we work full-time, we’re always looking for fun new California weekend getaways to provide us with a little bit of vacation without having to take time off. The travel show had an aisle-and-a-half of cities and counties from all over the state, providing us with lots of ideas. Even though we have lived in California our entire lives, we are always amazed by the wealth of vacation opportunities this great state has to offer, many of which we still haven’t experienced. 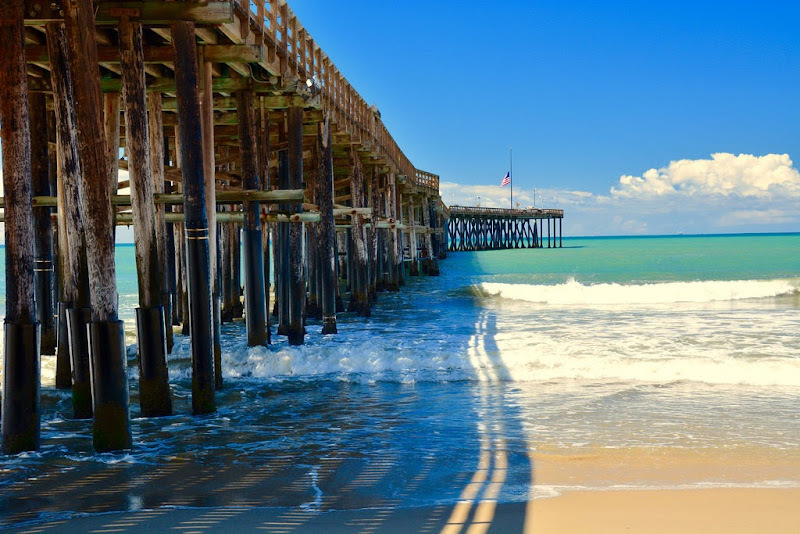 The City of Ventura is a classic and casual coastal California weekend getaway destination. Ventura Harbor offers boutiques, shops, and restaurants with a view of the Pacific Ocean. Travelers can hit the water for surfing, paddle-boarding, kayaking, or paddle-boating, or a more relaxing electric boat cruise of Ventura’s residential canals. Downtown Ventura offers a more historic destination with the San Buenaventura Mission, City Hall, and other historic buildings, as well as shops and restaurants. What is special about Ventura is that many of its shops and restaurants are locally owned, unique to Ventura, rather than part of nationwide chains. Ventura also has wineries and brew houses, or you can get a taste of Ventura by joining the Ventura Sip & Savor Wine Tour. The City of Ventura also has special events happening throughout the year, like the Ventura County Fair, the Tall Ships at Ventura Harbor, and more. 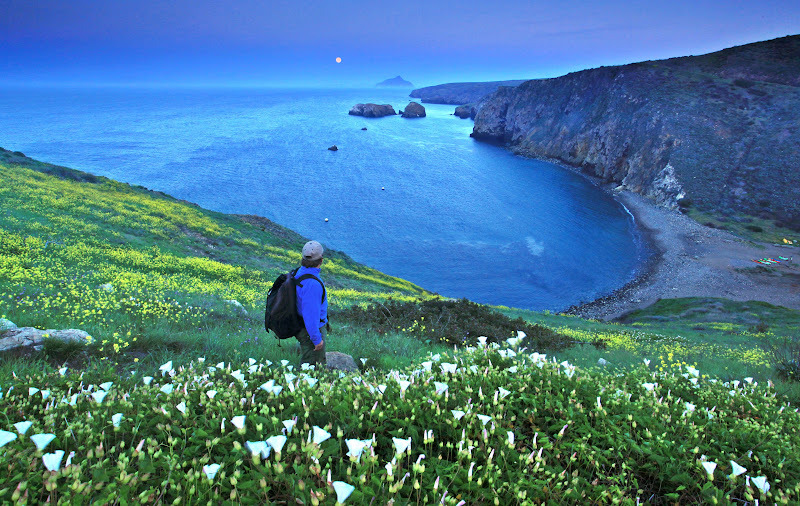 Channel Islands National Park can be added on to a weekend getaway to Ventura, or it can be a weekend getaway all its own if you want to do some island camping. The Channel Islands are known as the Galapagos Islands of North America because of the rich diversity of their plant and animal life. The islands are very protected, so there are limits to the number of people allowed in the National Park on any given day. A day trip with Island Packers to Anacapa Island, the closest of the five islands of the Channel Islands, consists of a boat ride from Ventura Harbor to Anacapa Island, a two-mile guided hike, and then five hours of shore time for exploring the 15 miles of trails on your own. Another option is to book a kayaking adventure with Channel Islands Outfitters. Island Packers provides the ferry to Santa Cruz Island, then Channel Islands Outfitters leads a kayaking tour through sea caves followed by a picnic lunch and then the opportunity to snorkel or hike. When I read that one of the exhibitors at the San Diego Travel & Adventure Show was going to be Conejo Valley, I thought, “What? Where? Who?” You perhaps have heard of Thousand Oaks, a city in Ventura County between Los Angeles and Santa Barbara. Not necessarily a place we’ve thought of as a travel destination. However, after learning more about Conejo Valley at the show, we’re ready to pack our bags for this Southern California weekend getaway destination. A weekend trip to Conejo Valley can include a horseback ride through Dos Vientos, a hike to Paradise Falls, a round of golf at Los Robles Golf Course, visits to the Ronald Reagan Presidential Library, Reyes Adobe Historical Site, Stagecoach Inn Museum, and Paramount Ranch, and enjoyment of wine, beer, and food at Conejo Valley’s wine tasting rooms, tap houses, and restaurants. Twentynine Palms is the north entrance to Joshua Tree National Park. 2016 is the year to go as the National Parks are celebrating their 100th anniversary. In addition to Joshua Tree National Park, another reason to choose Twentynine Palms for a California weekend getaway is the Sky’s the Limit Observatory and Nature Center, which hosts free star parties every Saturday night, except for nights with a full moon. In town, you will also find murals and public art which have been on display since 1995. Remember the movie Sideways? Confession, I hated that movie. But Buellton made its way onto people’s travel radar in part because of that movie. It used to be that Buellton was just a popular road trip pit stop because of Pea Soup Andersens. But Buellton is more than a pit stop. 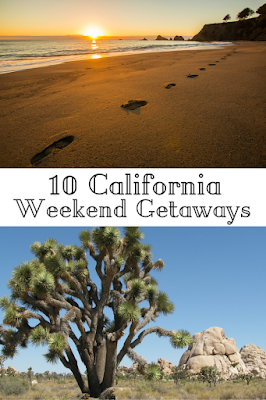 It is a California weekend getaway destination on its own. 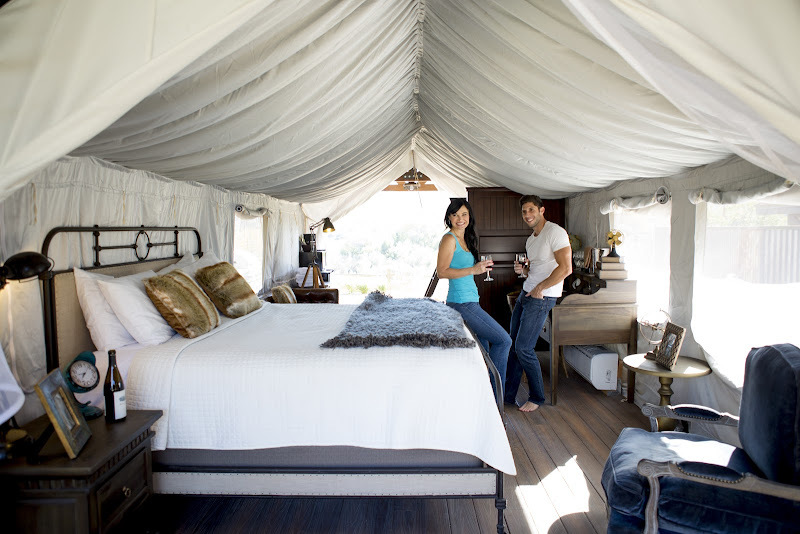 One thing Buellton has that we are dying to experience is glamping! Flying Flags RV Resort & Campground has multiple categories of accommodations including airstreams, cottages, vintage trailers, and luxury tents. A weekend in Buellton can include tasting wine from the Santa Rita Hills, farm-to-table dining, drinking craft beer, and even visiting a distillery. 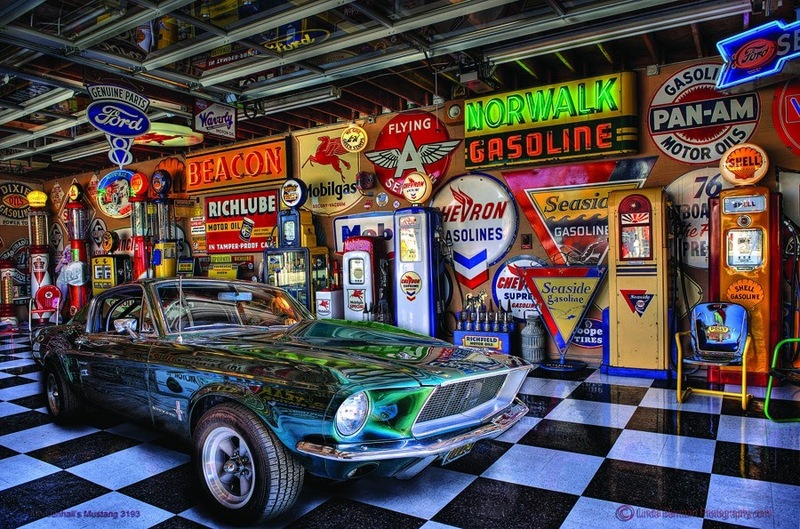 Buellton is also known for its “hidden gems,” like the Mendenhall Museum with one of the largest petroliana collections (gas pumps, road signs, etc.) and a Hans Christian Andersen museum. The Danish-inspired village of Solvang is nearby as well. Santa Maria Valley is one of Central California’s best kept secret weekend getaways. Santa Maria Valley is agriculture central with fields of greens and strawberries as far as the eye can see. But a weekend trip to Santa Maria Valley can include a pretty diverse to do list including hiking along Oso Flaco Lake Trail, visiting the Guadalupe-Nipomo Dunes Center for movie history, wandering amongst airplanes at the Santa Maria Museum of Flight, tasting wine along the Foxen Canyon Wine Trail, and enjoying some famous Santa Maria barbecue. Bishop is the perfect home base for your Eastern Sierra adventures and a great destination for a road trip. Their slogan is “Small Town with a Big Backyard.” Part of the joy of a trip to Bishop is the drive there (or back if you started your trip after work on a Friday). Bishop is reached by driving through Owens Valley, the high desert. Bishop provides a treasure map, a map listing all the places to stop when traveling to or from Bishop. Road trip sites include lava flows, mountain springs, and ancient archaeological sites. Bishop offers fun for the whole family. Mammoth is nearby for skiers, and they say to throw both your skis and golf clubs in the car, as Bishop is at a lower elevation and offers golf courses at the same time Mammoth offers snow-covered ski slopes. 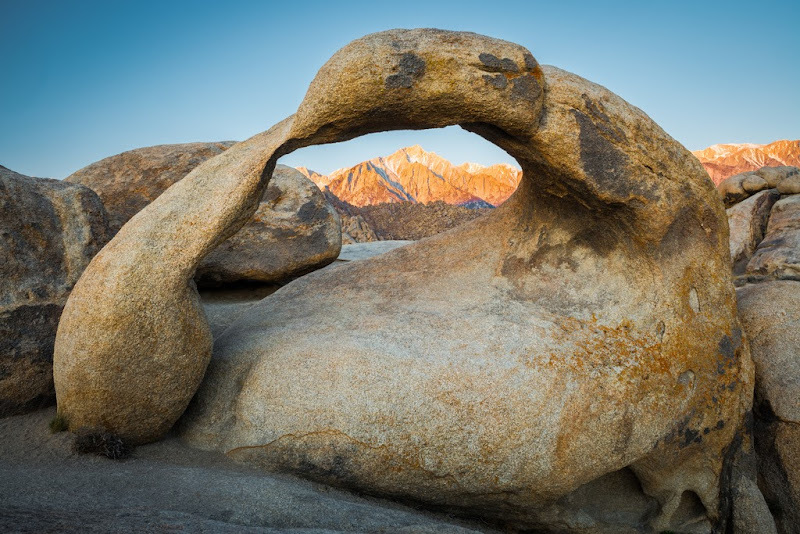 Other outdoor activities to be enjoyed in and around Bishop include fishing and hiking through the Alabama Hills. The Alabama Hills are also known as Hollywood’s backlot, as films both old (Gunga Din) and new (Iron Man) have been filmed there. Bishop is a popular summer destination, as most travelers to the area head to the mountains in winter for skiing, but Bishop, because of its lower elevation, makes a great winter weekend getaway for those who aren’t necessarily snow bunnies. There’s also free Wi-Fi in Bishop’s downtown corridor! Mammoth Lakes and the surrounding Mono County may not seem like a unique California weekend getaway. After all, Mammoth is one of California’s famous ski destinations. However, not many people think about going to Mammoth for the summer, so Mammoth Lakes and Mono County are our pick for a unique summer California weekend getaway. Mammoth is Mother Nature’s Adventureland. There are numerous photogenic places only accessible in the summer like Devils Postpile National Monument, thousands of hexagonal basalt columns, Rainbow Falls, a waterfall over 100-feet high so named because of the rainbows caused by the waterfall’s mist, and the Mono Lake tufa towers, oddly-shaped towers jutting up from the lake created from fresh-water springs coming from the bottom of the lake and interacting with the lake’s salt water. If you’re looking for an active outdoor weekend getaway in Mammoth Lakes and the surrounding Mono County, it is easy to find rentals, lessons, and guides. Mendocino County is so special, it made it onto The Frommer’s’ Best Places to Go List for 2016. 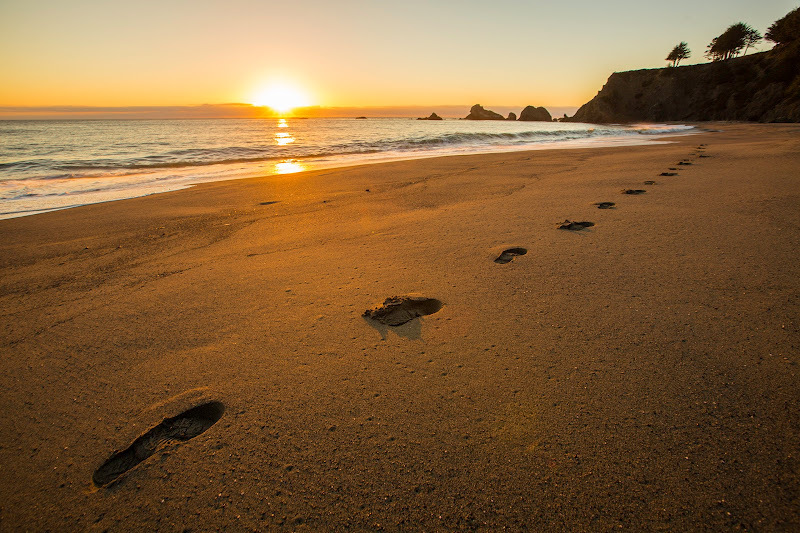 Mendocino County has the tagline “Wine, Waves & Wilderness.” Mendocino County offers miles and miles of hiking trails, beaches, hills, and lakes. Some weekend getaway highlights include Fort Bragg’s Glass Beach, the Chandelier Drive-Thru Tree, and the Skunk Train, just to name a few. The Skunk Train is a vintage railroad that stretches from Fort Bragg to Willits, though train journeys only go halfway from each end. 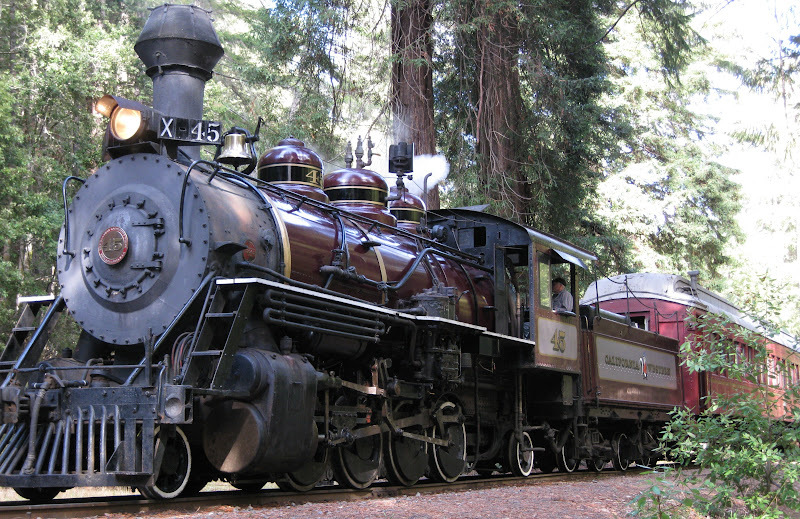 The Skunk Train travels through the California redwoods on vintage locomotives. Train trips include the overnighter and the trip that is high on our wish list, the tree climber, which combines a ride on the Skunk Train and a climb into the Coastal Redwood canopy. The Skunk Train got its name because the fuel smells really bad. Mendocino County also has numerous wineries to enjoy. When travelers think of visiting Northern California, usually the first city that comes to mind is San Francisco, many times followed by Napa or even Tahoe. But California’s capital city is also worth a visit as its own California weekend getaway destination or as stop on a longer Northern California trip. A decade ago Sacramento may not have been appealing as a travel destination, but the city has gone through a renaissance in the past six to seven years. Much of California’s produce comes from the Sacramento Valley, so Sacramento has named itself “America’s Farm to Table Capital.” Sacramento has also dipped into the craft beer scene with over 20 local breweries. 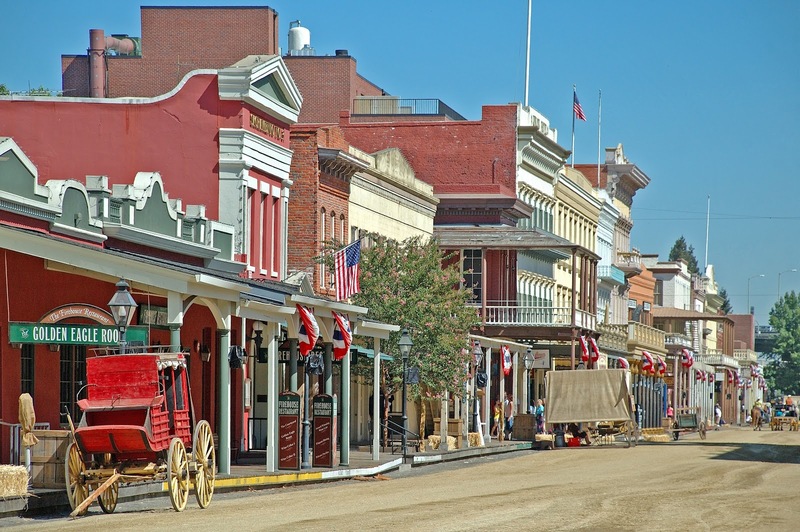 Old Sacramento is a destination as it has maintained its gold rush style, complete with wooden sidewalks. 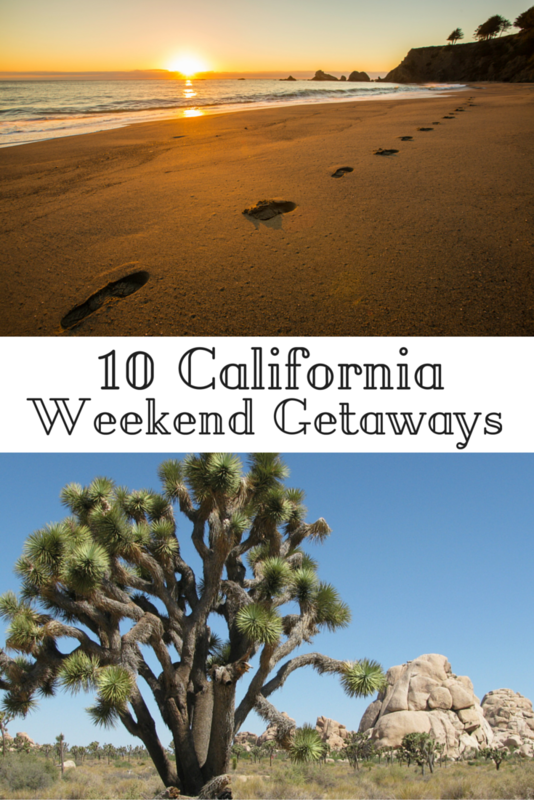 Even if you don't have a lot of vacation time to spend on travel, these unique ideas for California weekend getaways will be sure to satisfy your wanderlust. You too could be glamping in Buellton, California! Thank you to the San Diego Travel & Adventure Show for providing us with press passes and the opportunity to learn about these California weekend getaway ideas. Visit their website for upcoming shows in your area. Disclosure: This article contains affiliate links. If you book or purchase through them, we earn a small commission which helps support this website so we can bring you more travel stories and inspiration.